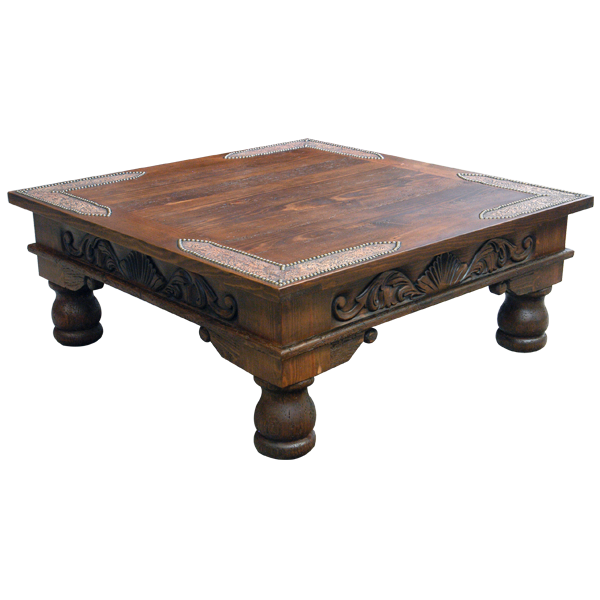 This handcrafted, Western style coffee table features a beautifully finished, square top with inlaid leather in each corner. The leather is engraved with Spanish colonial style patterns, and it is hand tacked to the top with lovely, gilt nails. The top rest on a solid wood base, and each side of the base is adorned with exquisite, hand carved, floral and scroll designs. 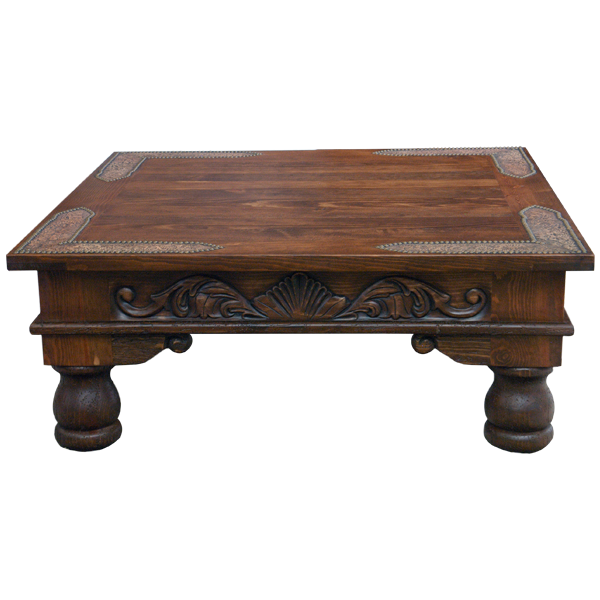 The coffee table is supported by ornate, hand turned legs, and above each leg is a solid wood, scroll detail. This coffee table can be accompanied with our Du Pont end table. (ETBL23). The coffee table is made with the best, sustainable, solid wood available, and it is 100% customizable.